A new, heavy-duty differential cover line for Dana 30, 35 and 44 axles are available from Alloy USA to help keep your gear oil where it’s supposed to be. Suwanee, Ga. – Alloy USA® announced the release of its new line of Aluminum Differential Covers for the Dana 30, 35 and 44 differentials. Each cover is designed to help protect internal components from damage caused by contact with rocks and other off-road hazards as well as aid in dissipating damaging heat. The new matte red powder coated aluminum differential covers are constructed from A356-T6 cast aluminum for impact resistance. Additionally they feature a precision machined sealing surface, allowing gaskets or RTV sealant to be used for a leak-free seal. 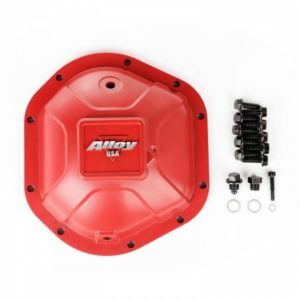 Alloy USA Aluminum Differential Covers are engineered to provide an improved level of protection over factory stamped steel differential covers and add a stylish accent to any Jeep. 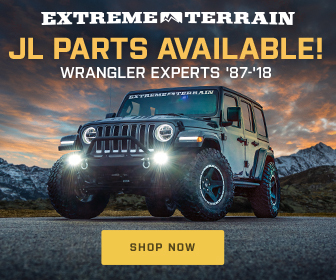 The covers feature a magnetic drain plug for trouble-free maintenance and a specially designed dipstick bolt to help Jeep owners avoid issues from over- or under-filling their differentials. 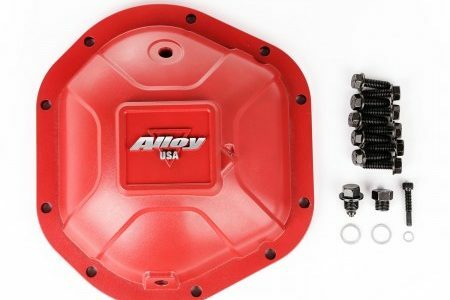 Backed by Alloy USA’s five-year limited warranty the, Alloy USA Aluminum Differential Covers are available online and through select Jeep and off-road parts and accessories retailers nationwide with an MSRP of $114.99. 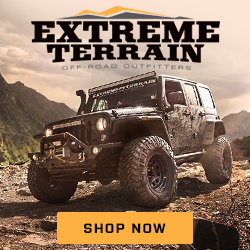 Omix-ADA®, Inc. is the world’s largest independent manufacturer and wholesaler of Jeep®, truck and off-road parts, accessories and floor liners. For two decades, Omix-ADA has designed, tested and manufactured more than 20,000 of the highest quality restoration and replacement parts and accessories. The Omix-ADA family of brands, Rugged Ridge® and Alloy USA®, are distributed throughout the USA and in more than 90 countries worldwide. For more information, please call Omix-ADA, headquartered in Suwanee, GA at 770-614-6101 or visithttp://www.omixada.com.